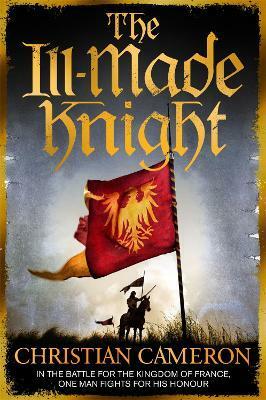 An action-packed tale of chivalry and betrayal set during the Hundred Years War. September, 1356. Poitiers. The greatest knights of the age were ready to give battle. On the English side, Edward, the Black Prince, who'd earned his spurs at Crecy. On the French side, the King and his son, the Dauphin. With 12,000 knights. And then there is William Gold. A cook's boy - the lowest of the low - who had once been branded as a thief. William dreams of being a knight, but in this savage new world of intrigue, betrayal and greed, first he must learn to survive. As rapacious English mercenaries plunder a country already ravaged by plague, and the peasantry take violent revenge against the French knights who have failed to protect them, is chivalry any more than a boyish fantasy? Christian Cameron is a writer, re-enactor and military historian. He is a veteran of the United States Navy, where he served as both an aviator and an intelligence officer. He is a co-author, with his father Ken Cameron, of the acclaimed Gordon Kent military thriller series, as well as WASHINGTON AND CAESAR, a novel of the American Revolution. He now lives in Toronto with his wife and daughter, where he writes full time.